The vast majority of clinical laboratories use some type of automated chemistry analyzer, and most of these (85%) are medium and high-volume instruments. That said, some facilities also utilize low-volume instruments to supplement core chemistry functions. 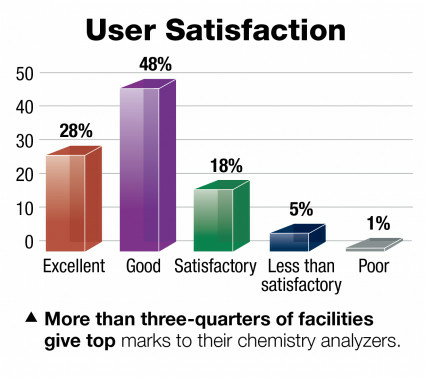 Chemistry analyzers receive solid satisfaction ratings, and there is a deep market offering well-rated chemistry automation solutions. Test availability is the leading factor in choosing a new chemistry system for the majority of laboratories planning new acquisitions. To view the complete survey results, click the download link above.